Lands End is located in Sands Point, NY on the northernmost tip of the Cow Neck Peninsula on the North Shore of Long Island in Nassau County, New York and only 25 miles from Manhattan’s city center. It’s a private, close-knit community that truly is a commuter’s dream. Sands Point, NY is also very close to great shopping and wonderful hidden and undiscovered restaurants in Port Washington, New York. Both Sands Point and Port Washington border Manhasset Bay, Hempstead Bay and Long Island Sound. But before some of you readers get upset that the Lands End Blog has exposed your best kept foodie secrets, it’s more than likely that our the picks in our top five are already known by a select group of Long Islanders. Below is a sampling of our top five best-kept secret restaurants in Long Island to discover or rediscover right now! Located off the beaten path on Port Washington Blvd, Chez Noelle has a reputation as a hidden jewel and is known on Long Island as one of the best French Restaurants. As for the menu, the classic French cuisine has a modern twist. 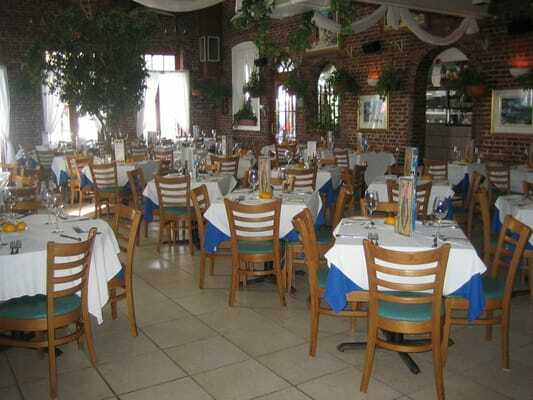 And the restaurant is great for romantic dinners, as well as, birthday and anniversary parties. The ambience is relaxed and warm with a lovely wine list. 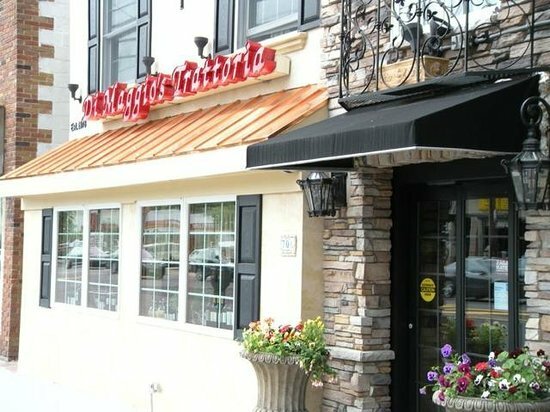 Known as another hidden gem, DiMaggio’s Trattoria (formerly known as DiMaggio’s) is a wonderful Italian restaurant you must visit. The homemade pizza and pasta dishes are excellent, as good as any Italian restaurant in Manhattan. And if you have any food allergies, no worries! DiMaggio’s Trattoria makes everything made to order and will find a way to prepare an entrée to suit your needs and specifications. You will be back again and again. This is a very good local BBQ restaurant in Port Washington. Hard to believe? Well, believe it. With it secret rubs and sauces, you can't go wrong with their wings, ribs or pork sandwiches. Another staple is there creamy, homemade Mac and Cheese. Harbor Q is very kid friendly with a fun atmosphere. Bistro Etc is a small French gem in Port Washington. The menu is always inventive and truly excellent. The fish entrées are cooked with quality meat and innovative preparations. The restaurant itself is intimate and cozy, which makes it more of an adults-only destination. They also cater events as well! Don’t forget to try the luxurious profiteroles with a decadent chocolate sauce. Attentive and knowledgeable wait staff. Ayhan’s Fish Kebab is known as one of Port Washington’s few gems. The menu has a spectacular selection of grilled fish (Snapper, Salmon, Branzini, etc.) and shrimp entrées. The crab cake and octopus appetizers are also highly recommended. Ayhan’s Fish Kebab also has an extensive wine list. The atmosphere is relaxed and lively. 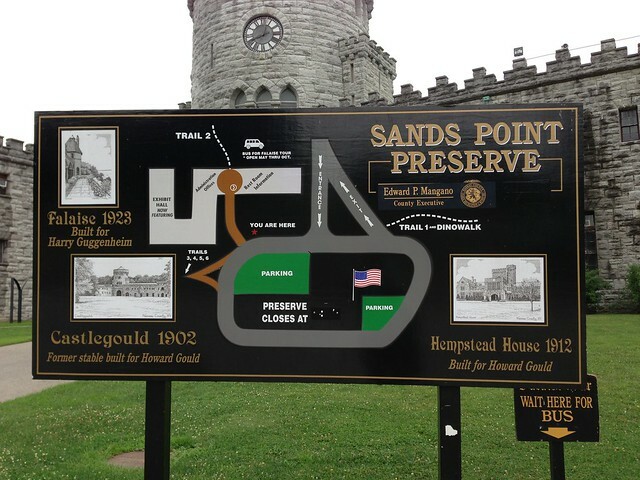 Tour The Sands Point Preserve on Long Island's Gold Coast! The video below is the full episode from the NYC-ARTS program. And you can also watch the episode on the Sands Point Preserve on the Lands End Vimeo Channel here. Thank you for taking the time to virtually tour The Sands Point Preserve in Long Island, New York with Lands End. Now make sure to visit in person! For more information on visiting hours and contact information click here.